This has been so painful. I’ve spent hours trying to get this working with little info on google searches for when things have gone wrong. Fortunately, I have got it working! Hopefully this guide will be of some help if you’re trying to get CUPs working on your wireless router. What is CUPs? printing….from your wireless router??? CUPs is a linux print server. Using a wireless router, such as the TP-LINK WR1043ND, we’re able to install a new open source firmware such as OpenWrt, and further install different packages, such as CUPs, allowing us to do a lot more with our devices than the manufacturer originally intended. It was time I started again from scratch. I decided I would try out a bleeding edge build and I am now running OpenWrt Attitude Adjustment 12.09-beta, LuCI Trunk (trunk+svn9220). My reason for this is the off chance a package I had installed may have been having issues with “stable” which hasn’t been updated in almost a year (http://downloads.openwrt.org/backfire/10.03.1/ar71xx/ shows Dec 2011). Step 1: Install OpenWRT on your wireless router. There are enough guides online on this, and I won’t cover it here. All I’m going to say is if you’re currently running OpenWRT and you want to try another version of it, login to your router via the web, then System > Backup / Flash Firmware > Flash new firmware image. Normally you would download a sysupgrade .bin but I used a factory.bin. This is because I was going between different versions of OpenWRT and I’m not sure if a sysupgrade version may have caused issues. I also unticked “keep settings” since I wanted it back to default config. Flash the firmware then re-setup any of your basic config (passwords, ip address, wireless SSID etc). At this point, you’ve probably already seen the CUPs guide on the OpenWRT site and are probably stuck on it. Hopefully the below steps will be of some help. 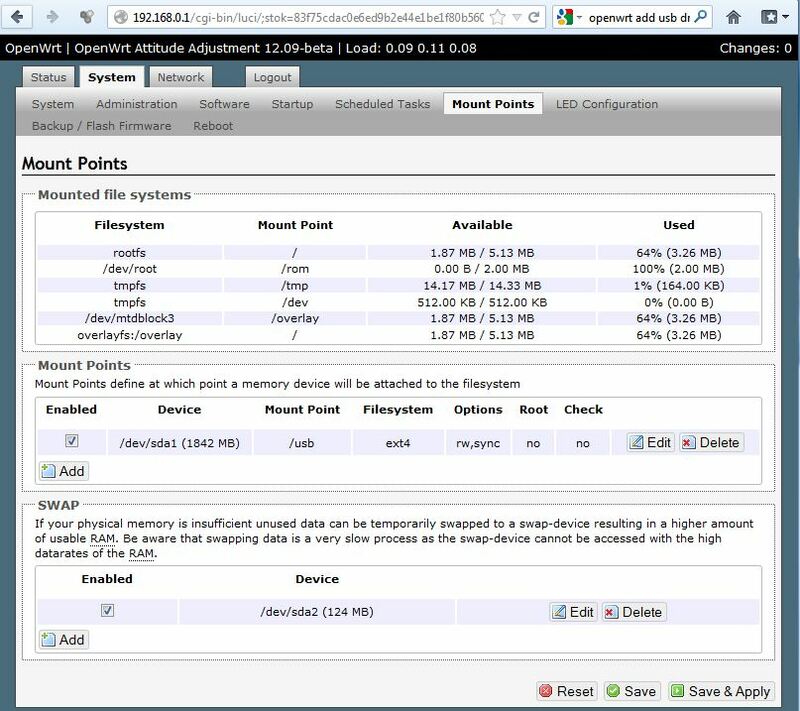 For me running ATTITUDE ADJUSTMENT (12.09-beta, r33312), all the required usb packages were already installed. You can check what packages are installed by entering opkg list-installed, or via web by going System > Software. I think you may also need kmod-usb2, and hotplug2. I have them installed anyway. zlib, libpthread, libpng, libjpeg, libstdcpp, and if you’re using a canon printer, you may need cups-bjnp. Note, for all of the above, except cups-bjnp, they may be dependencies for CUPs and I didn’t have to manually install any of them. I have a feeling they all just installed when I installed CUPs. Make sure you don’t have kmod-usb-printer installed or running. Why? because CUPs talks directly to the printers and kmod-use-printer is another layer which is used by other apps such as p910nd to communicate with the printer. This is also the reason why you won’t see lp0 under /dev. Right! Prerequisites are out of the way, lets actually install CUPs! That was probably the easiest step of the lot. And change AuthClass to AuthClass Anonymous. Change “Allow From 192.168.0.0/24” to the IP subnet you’re using. Use “:wq” to save the file and quit. Personally I prefer using the text editor nano, so I did opkg install nano, and then nano /etc/cups/cupsd.conf, edited the file, then ctrl + x, Y, enter. Then, you need to change the permissions on /usr/lib/cups/backend/usb to 700. This changes the behavior of cups, which normally tries to execute the backend through a user account other than root. This forces the backend to run as root from cups. You may be requested to login, just use your root account, unless you’ve created another account. As you can see, CUPs HAS picked up both my printers correctly, and I’m able to go through each following step in setting them up. What if CUPs doesn’t show anything there for you? Go through all the steps and you should have your printer sitting as idle under printers. 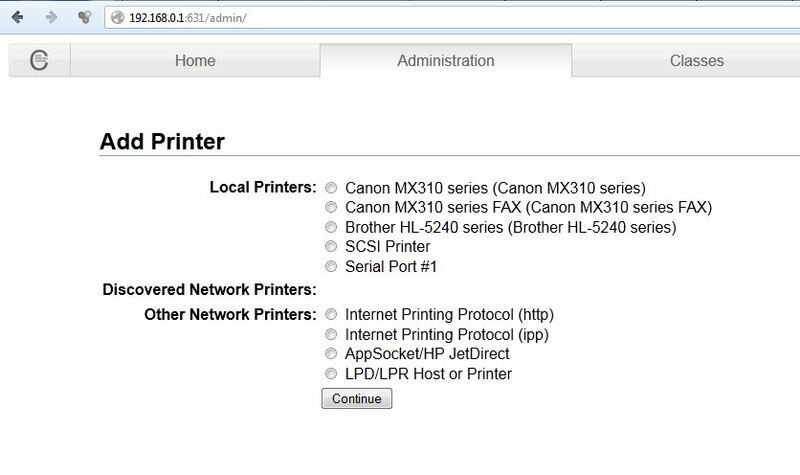 At this point, you should be able to add your printer on a client and try printing a test page. Note: Due to limited functionality of CUPs on the router, you can’t print a test page from within CUPs on the device. 1. Click Start, and type add a printer. 2. Click add a network, wireless, or Bluetooth printer. 4. 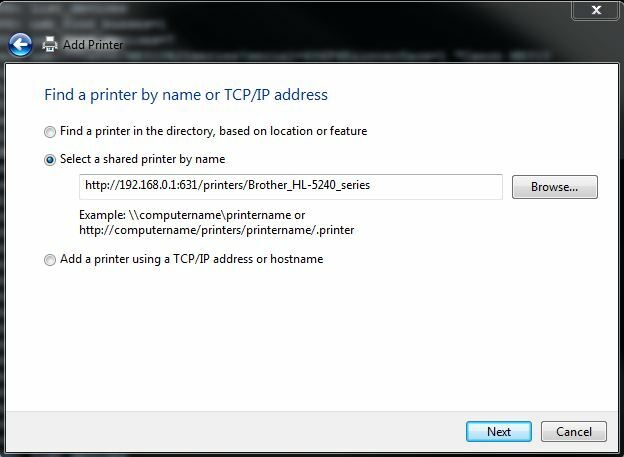 Select the second option, and paste the full URL to the printer. In CUPs, select Printers > followed by the printer itself. The url in your address bar is what you should paste below. Then install the correct drivers for your device. On the last screen you could click “print a test page” followed by finish. At this point, hopefully a test page has printed. Wohoo!! I spent hours getting to this point. And it’s a fantastic feeling having your wireless router act as a print server. The thing to remember is, it’s not over yet…. 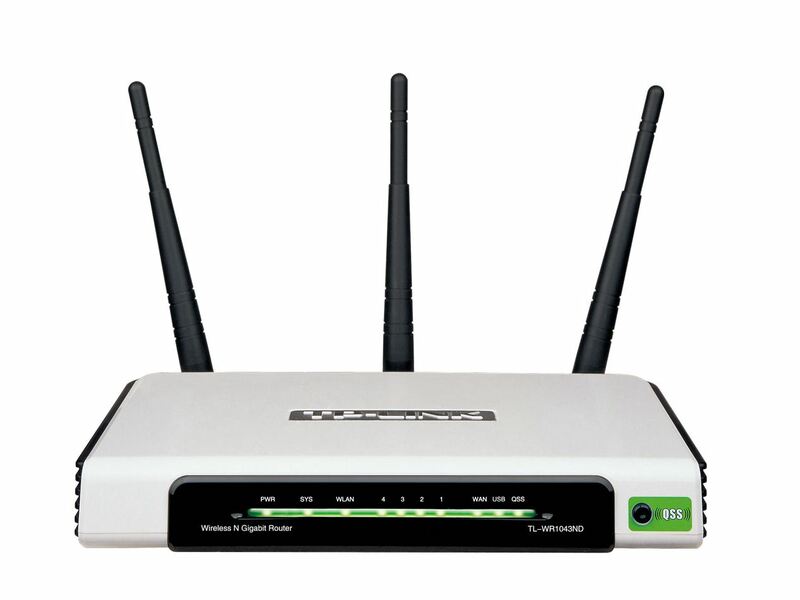 One issue that we face having a wireless router act as a print server, is that this wasn’t its original function, and therefore there are certain constraints that we must get around. 1 is that the router has an extremely small and limited internal memory. With CUPs, when a user sends a job to the printer, the whole file gets transferred across, and needs to be stored, or cached somewhere while the printer gets ready to start printing. Therefore, we need to set up a usb drive for spooling. You may get away with not having to do this step, but you also may have print job issues down the track if you’re printing a big file. Chances are you have a spare usb flash drive lying around not being used, so why not just do the extra step. For this step, there are other guides online for configuring a flash drive for OpenWrt, not to mention the OpenWrt usb storage page. There’s quite a good guide on it here. For me though, I have a linux Mint laptop, so I just plugged in my spare usb drive, apt-get installed gparted, and then configured 90% of the flash drive with ext4, and the last 10% as SWAP. I also changed the permissions on the flash drive and used permissions you probably shouldn’t use by doing “sudo chmod 777 /mnt/flash drive” which basically gives all users read write and execute permissions. For me I don’t think there will be any issues with this. At this point there is two ways you could mount your storage, either using the CLI/SSH or via the gui web page. Personally doing it with the web page, as I find it easier. If you don’t have the tab “Mount Points” it’s probably because you don’t have all the right packages installed. It didn’t appear for me till I added “block-mount”. Next reboot your router and make sure the usb device comes up mounted correctly on the above page. At this point it may be a good idea just to do a blank page print to your printer to ensure everything is still working fine. Okay next step! enter “/etc/init.d/cupsd enable” or alternatively in the gui go to System > Started, and make sure cupsd has enabled beside it. Could be a good point to get rid of those default printers you’re not using. I just commented out the printers doing nano /etc/cups/printers.conf and putting a # beside them eg #<Printer LP> and #<DefaultPrinter USB> syslog will throw up a couple of errors on start up but that shouldn’t matter. Alternatively just delete everything for the two defaults. Adding the printers on a Mac Client. I had issues adding the printers through the default mac config, but then suddenly remembered that Macs actually run a local version of CUPs so I just added them by going into the web browser http://127.0.0.1:631 and adding the printers in there! Works great! Hopefully you made it this far, and have a working version of CUPs on your wireless router! Congrats! Got an issue that you’ve been stuck in for hours? Always try doing some debug, E.g. via the web interface, go Status > System Log, or Kernel Log. Both of which can be pretty helpful. As a last resort, if you’ve really stuffed things up, a fresh install might be the way to go. Fixed things for me! Got any questions? feel free to write below.